This impressive 48’ diameter Sukup structure was the optional solution to our customer’s challenge to help them meet their grain storage needs. 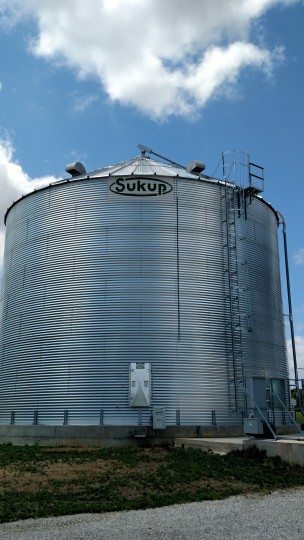 With a 33’ eave, 48’ peak height and capacity of greater than 55,000-bushels, the finishing touches to this project included 10hp centrifugal fan, 8’ Sukup Power Sweep and other extras that are included in these bin packages. When you combine the superior quality and high-strength galvanized steel of Sukup along with the design, construction and installation team from FS Construction Services, you can be sure your project will be worry free. This is just one of a variety of buildings we can provide for you. At FS Construction Services, we are here to build what you want and the fastest possible way. For more information regarding building construction, please do not hesitate to contact us at 866-551-3454. We look forward to providing you with the best customer service experience.